Metal's artisan of ambitiousness Arjen Anthony Lucassen returns with his project AYREON taking time off from his other musical projects Star One, Guilt Machine and The Gentle Storm to embark on yet another sonic journey into the world of science fiction, where he unleashes yet another concept album that is a prequel to 2008's "01011001" laid out in his usual monstrosity of a double album with an army of guest vocalists and musicians to play the proper roles in his larger than life metal operas. As a prequel, THE SOURCE tells the origins of the Forever which is an alien race that is a key force in the overall storyline. The two discs are separated into four Chronicles with each telling different timelines in the story. The are broken down into - Chronicle 1: The Frame, Chronicle 2: The Aligning Of The Ten, Chronicle 3: The Transmigration and Chronicle 4: The Rebirth and the album is graced with beautiful artwork, extensive liner notes and an overall packaging that goes above and beyond the call of duty for any dedicated artist. Lucassen has really been upping the bar with each and every release and shows no signs of releasing his feet from the gas pedal. His passions are ablaze and THE SOURCE displays it all in full regalia. While AYREON is accustomed to mostly new cast members changing things up on any given album, THE SOURCE makes use of plenty of returning performers which include James LaBrie (Dream Theater), Simone Simons (Epica), Floor Jansen (Nightwish), Hansi Kürsch (Blind Guardian), Tobias Sammet (Edguy, Avantasia), Tommy Karevik (Kamelot, Seventh Wonder), and Russell Allen (Symphony X), together with newcomers such as Tommy Rogers (Between the Buried and Me), which makes a whopping total of eleven main vocalists. Add to that the extraordinary musicians involved which include Joost van den Broek (ex-After Forever) ? grand piano and electric piano Mark Kelly (Marillion) ? synthesizer solo on "The Dream Dissolves"Maaike Peterse (Kingfisher Sky) ? cello, Paul Gilbert (Mr. Big, Racer X) ? guitar solo on "Star of Sirrah," Guthrie Govan (The Aristocrats, ex-Asia) ? guitar solo on "Planet Y Is Alive!,"Marcel Coenen (Sun Caged) ? guitar solo on "The Dream Dissolves," Ed Warby ? 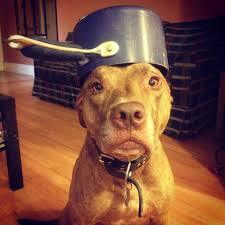 drums, Ben Mathot ? violin, Jeroen Goossens (ex-Pater Moeskroen) ? flute, wind instruments, and of course, Arjen Anthony Lucassen himself on electric and acoustic guitars, mandolin, synthesizers, Hammond, Solina Strings, all other instruments. I just had to list all these performers to let it sink in, the monstrosity that this beautiful album is! 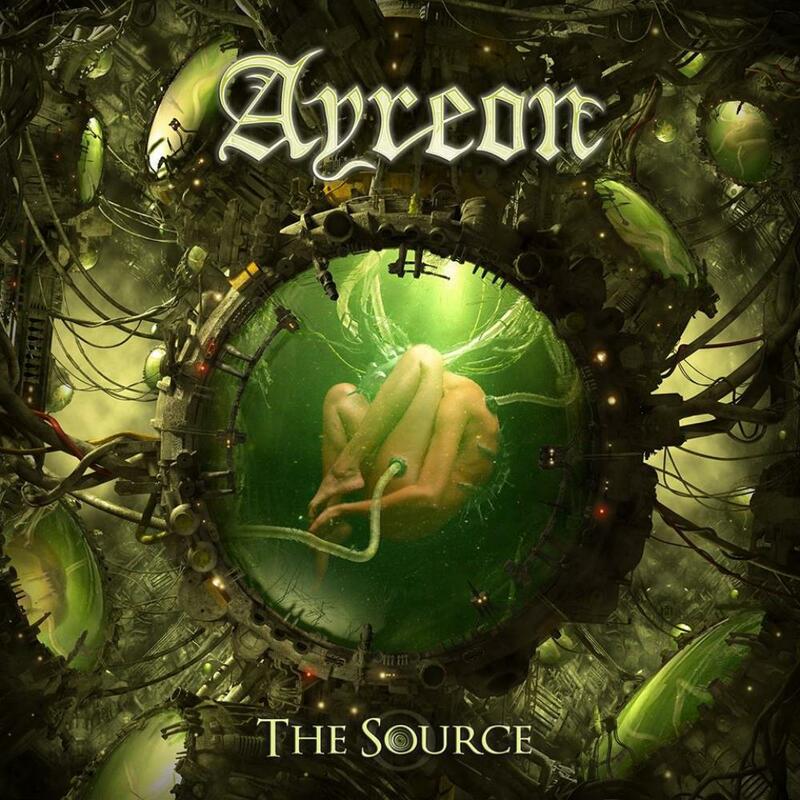 THE SOURCE incorporates more aspects of the metal world than the usual AYREON project. While most indulge in heavy doses of folk rotation with the same recurring female vocalist, an aspect that has left me a little cold in the past, this album on the other hand keeps the musical jukebox flowing and never lets one style dominate for too long. While the folk influences are ever present, the retrospective styles of the performers are in full effect with much emphasis on progressive, power and classic metal with even some excellent to Queen harmonies and some extreme metal touches as well in the excellent "Everybody Dies" that is straight out of the progressive rock playbook with classic 70s Wakeman-esque keyboards, Freddie Mercury spots and time signature breakouts run amok (amongst tons of other styles and influences). It really seems like every little detail was cogitated upon before the final release was allowed to see the light of day. The only complaint i have about this fine album is that some of the tracks on the second track outstay their welcome a however it's a minor quibble indeed. THE SOURCE is one to be experienced as words cannot convey the sheer magnitude of its accomplishments. The works are not only a rock and metal encyclopedia in scope and style but a testament to how to write, arrange and produce an album. It seems that Lucassen's talents caught up to his grandiose ambitions starting with "01011001" and progressively have been becoming more refined ever since. THE SOURCE not only displays the AYREON project having tightened up all the loose ends that have always bugged me but shows a maturing and steps away from the more progressive rock world and ups the energy level by keeping the album more in heavy rock mode. THE SOURCE is the first AYREON album on the Mascot Label Group and the digital release of the albums will follow. THE SOURCE is yet another modern day AYREON album that clearly demonstrates what made the early albums so weak in comparison as one track is crafted into the next and all cast members roles are cleverly placed in the perfect sequence of things. It's no wonder the such staunch fans are as excited for a new AYREON release as are fans foaming at the mouth for a new season of Game Of Thrones! THE SOURCE is truly a brilliantly complex yet completely accessible metal opera that eschews the long drawn out filler pieces of the band's earlier moments. At this stage i have been indoctrinated into the AYREON fan club and look forward to the next chapter of metal sci-fi digest - AYREON style! Arjen's latest magnum opus "The Source" is actually a prequel of past release "01011001". In a similar vein to Lucassen's past works this colossal double CD album is conceptual and features a plethora of special guests. Each artist portrays an integral character in the story. James LaBrie as The Historian, Tommy Karevik as The Opposition Leader, Tommy Rogers as The Chemist, Simone Simons as The Counselor, Nils K. Rue as The Prophet, Tobias Sammet as The Captain, Hansi Kürsch as The Astronomer, Mike Mills as TH-1, Russell Allen as The President, Michael Eriksen as The Diplomat, Floor Jansen as The Biologist, Zaher Zorgati as The Preacher, among others. The musicianship is a quality virtuoso lineup with artists borrowed from prog and metal bands and Arjen leads the way with his integral guitar style. From the outset the album has a much heavier metal feel than other Ayreon works, it certainly rocks but of course there are ballads and haunting atmospheres throughout. There are some wonderful tracks to savour here. 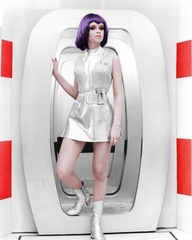 Everybody Dies is infectious and Star Of Sirrah has a wonderful spacey soundscape. There are exciting dynamic tracks such as Run! Apocalypse! Run ! And then some beautiful passages like Condemned To Live. The second CD is the third Chronicle The Transmigration opening with the glorious complex Aquatic Race until Into The Ocean heralds the next Chronicle The Rebirth. Things slow down into ethereal atmospheres with Bay Of Dreams but the pace quickens with the pounding Planet Y Is Alive! There's so much to enjoy on this album. The music is diverse and ranges from complex time sigs and instrumental breaks to beautiful passages especially with the vocals of Simone Simons and Floor Janssen who at one point brought tears to my eyes such was the beauty of their delivery. This is an emotional album that cries out for the Alien planet that is dying, along with The Forever an Alien race on the verge of extinction. Will it survive the devestation of an apocalyptic future? There is hope but where does it come from? Listen and you'll discover for yourself. Ayreon never disappoints as far as I'm concerned throughout the visionary catalogue of Arjen. "The Source" is another Masterclass release with towering vocals and powerhouse musicianship. One of the greatest releases of 2017. Modern progressive music icon Arjen Anthony Lucassen returns in 2017 with `The Source', the ninth studio album under his Ayreon project banner. Another double CD sci-fi concept work that has the Dutch multi-instrumentalist joined by a range of vocalists and guest musicians, `The Source' is a return to the stronger heavy metal sound of most previous Ayreon works after 2013's `The Theory of Everything' removed much of the harder riffing (it's certainly a heavy rock opera, but definitely not a `prog-metal' album at all! ), but like that same album, Lucasssen has gone all `Tales from Topographic Oceans' again and served up four side-long multi-suite pieces of twenty-plus minutes in length (labelled as `Chronicles' here), and it's one of his most ambitious and varied works to date. Everyone loves prequels, right?! Well, sarcasm aside, with `The Source', Arjen offers a tale set before all the previous albums, detailing a planet overrun by a computer given artificial intelligence and the protagonists of this apocalyptic story fleeing to start a new life on strange alien worlds, and the challenges that come with that. It's a little silly, but admirably richly realised by ambitious lyrics presented through a range of characters given voice by vocalists from various prog and metal-related acts such as Nightwish, Epica, Edguy, Blind Guardian, Mr Big, Dream Theater and others, as well as boasting musical contributions from players in Marillion, the Aristocrats, After Forever and more. But front and center is multi-instrumentalist Lucassen, a performer of immense skill and variety, and he and his musical companions have delivered another sterling musical and artistic statement. For `Chronicle 1: The 'Frame', a moody scene-setting premonition delivered by Jamie Labrie introduces the first three track arc. The twelve and a half minute proper opener `The Day the World Breaks Down' is frantic and pounding, a crash of fancy violin-lifted orchestral-like overtures obliterated by relentless heavy-metal riffing, dazzling synth runs and breathless vocal histrionics. The second half coasts into a reflective interlude of bluesy guitar and sparkling piano, that also reminds that the best Ayreon moments are when the various fragments hold tight compact tunes with recurring choruses that serve as stand- alone songs in their own right. Folk-tinged prettiness weaves in and out of `Sea of Machines' gutsy crunch, and the malevolently over-dramatic `Everybody Dies' mixes in everything from Dream Theater-like bombast given a touch of retro- prog keyboards and playful back-and-forth vocal responses (there's definitely a touch of Queen buried in there too), and it sounds like Arjen might have been listening to those rollicking symphonic fanfares of the classic early Italian prog PFM albums! Despite its bludgeoning mud-thick riffing and rousing repeated chorus, the chiming guitars throughout the opening movement of the Second Chronicle's `Star Of Sirrah' remind of both Pink Floyd's `Sheep' and Porcupine Tree's `Time Flies'. `All That Was' is a swooning violin female-fronted folk ballad with heavier bursts that wouldn't have sounded out of place on Lucassen's Gentle Storm album `The Diary' from 2015, and unsurprisingly with its title, `Run! Apocalypse! Run!' (just look at all those exclamation marks!) is a dizzying maddening sprint of runaway break-neck keyboard soloing, crushing guitars and wailing frantic vocals. This first disc concludes with `Condemned To Live' that mixes in everything from stark vocal contemplations, moody cello and violin backings to its heavy drama. `Chronicle 3 - The Transmigration' and its opening passage `Aquatic Race' kick off with some hilariously shrieking boisterous multi-vocal choruses frequently reprised throughout, and some snarling metal riffs that remind of Black Sabbath are broken up by dreamier interludes. While `The Dream Dissolves' is mostly a luxurious folk-flecked ballad, it culminates in a glorious synth solo from Mark Kelly that harkens back to the early years of his own band Marillion, and alongside a sleek electric guitar solo from Suncaged's Marcel Coenen, the duo deliver a classic sounding pure Neo Prog climax. Eastern-flavoured vocal drones, operatic purrs and a pinch of Jethro Tull-like flute weave throughout `Deathcry Of A Race', and `Into The Ocean' is a ballsy Hammond-dominated pounding arena rocker that falls somewhere between Deep Purple and the Dio-fronted era of Black Sabbath! `Chronicle 4 - The Rebirth', `Bay Of Dreams' creeps with pulsing electronic programming and glistening guitars as it grows in power, and `Planet Y Is Alive!' is one of the most amusing moments of the disc, a thrashing blast of crunching drumming and an absurdly delirious chorus (and a spacey guitar solo in the instrumental break from The Aristocrats' Guthrie Govan is lovely)! The reflective ballad `The Source Will Flow' floats with a multitude of dreamy harmonies from several of the singers, the joyous and vocally gospel-tinged `Journey To Forever' is tinged with ringing mandolin among its chugging riffing, and `The Human Compulsion' is a final heavy curtain call for all the performers before the gloomy electronic fragment `March Of The Machines' and its eerie spoken word finale wrap the disc in a surprisingly dark and intense manner. As always with the Ayreon works, there's a touch of kitsch and amusing over-seriousness that sometimes renders parts of the music a little overwrought and hammy (yet Arjen himself is very amusing and self-deprecating! ), but there's such a conviction and attention to detail to the material here, and it's also extremely admirable that Lucassen is so proud of his prog-rock self- indulgences! The reliance on metal elements means that `The Source' perhaps doesn't have the versatility or crossover appeal that `The Theory of Everything' might have had for a wider audience, and on the surface it looks a little intimidating trying to approach its eighty-eight minute length, but constant replays reveal a sweeping, grand work that successfully flows between passages and belts you around the head with its attacking heaviness. 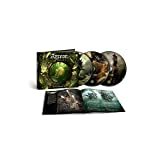 Ayreon fans are sure to love it, and its another very accomplished, slick and bombastic masterwork from the reigning king of grandiose metal storytelling. Post a review of AYREON "The Source"